Terramin is a red-colored calcium bentonite clay mined in the California Colorado River Basin. Terramin is mined from a sedimentary clay deposit formed from minerals carried by the Colorado River; seasonal snow melts would cause the river to overflow and deposit the minerals on the flat, dry regions of the lower Colorado River delta. This sedimentary clay has been formed by a hydro-thermal process, which is different from both inland sea clays, sea clays, and volcanic clays. 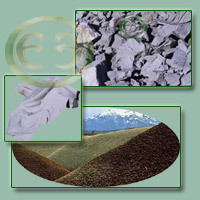 Terramin is most well known for the study conducted for NASA by Dr. BENJAMIN H. ERSHOFF. Dr. Ershoff was tasked with finding an effective calcium supplement that would help prevent bone loss in astronauts in a zero G environment. Dr. Ershoff concluded that Terramin was the most effective calcium supplement to prevent pathologic changes in the bones. He also concluded in animal studies that a diet including 1-4% terramin significantly affecdted the nutritional state of the animals studied. We have independently verified that terramin supplemented daily can reverse bone loss in individuals with osteoporosis. While we only have one case study demonstrating the potential of terramin as a treatment for osteoporisis, its success was not the least bit suprising. 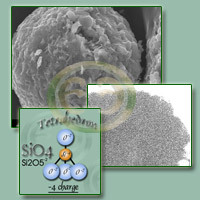 Terramin is an edible clay, and is available in capsules as an internal supplement. 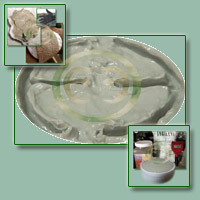 Terramin may also be used in compresses and poultices, as well as natural cosmetics. Terramin - Red Desert Clay - 5 lbs.